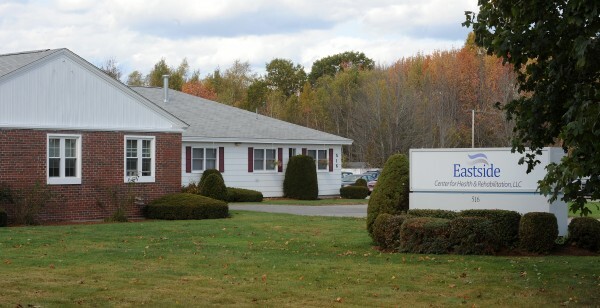 The Eastside Center for Health & Rehabilitation, LLC in Bangor. BANGOR, Maine — A local nursing home and rehabilitation center is facing federal sanctions after maggots were discovered in a resident’s bandaged wound, according to the Maine Department of Health and Human Services. The state’s Division of Licensing and Regulatory Services inspected the Eastside Center for Health and Rehabilitation on Mt. Hope Avenue after receiving an anonymous complaint about an incident in September. The inspection found the facility had allowed flies into the building because it “failed to ensure the environment was free from hazards associated with windows with broken and missing screens,” according to the DHHS statement of deficiencies obtained by the Bangor Daily News through a Freedom of Access request. A resident at the 69-bed facility had complained to a nurse on Sept. 7 about a burning and itching sensation in his or her chest area. “When the bandage was removed, the staff observed that the resident had maggot larvae coming out of the resident’s chest open area,” according to the DHHS documents. The resident had a chest tumor. The statement did not indicate if the wound was surgical or a result of the tumor itself. Nurses cleaned the wound and added a new dressing, according to the statement, and a doctor ordered Permethrin Cream, a medication typically used to treat scabies and head lice. The DHHS statement also indicates that this was the only patient at the facility that was affected. Pest control company invoices also indicate that the facility was sprayed for infestation on Aug. 1 and again on Sept. 9, two days after the maggot report, according to the statement of deficiencies. Staff were advised not to open windows without screens, and the administrator asked that all the windows be replaced, according to the correction plan filed by Eastside. It states the facility would replace 45 windows, including all resident rooms and non-opening windows, by Oct. 1. The facility filed a corrective plan of action with the state on Oct. 1, according to the DHHS documents. It stated a contractor was called Sept. 10 to fix the window screens, and that it would replace the 45 windows, including those in all resident rooms. National HealthCare Associates, which purchased the Bangor nursing home and six other Maine-based facilities within the last year, said in an email Thursday that all of the problems identified have been resolved. “Eastside Center cares deeply about our patients and will work tirelessly to maintain our high levels of care and are pleased to report that we are in full compliance with our plan of correction,” Brown said. The state has recommended to the federal Centers for Medicare & Medicaid Services that Eastside be fined $500 per day for each day it was out of compliance, and that the facility be denied payments for new admissions and for all individuals, according to Tammy Steuber, hearings examiner for the Division of Licensing and Regulatory Services. Typically the denied payments are directly tied to the period on noncompliance, but if the time period of noncompliance goes longer than three months, the Centers for Medicare & Medicaid Service automatically denies new admission payments, she said. “We should hear something within the next week or so,” Steuber said about the request for sanctions. 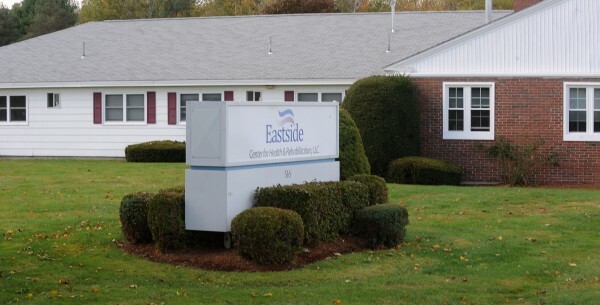 Eastside provides services to those who need short-term rehabilitative care after hospitalization, or are in need of long-term skilled nursing care, its website states. The Eastside Rehabilitation and Living Center, which is what the facility was called before National Health purchased it, also was cited by state officials in 2001 for seven problems at the facility that included abuse, neglect and deficiencies in care, services and staffing.